Llivia is a small enclave of Spanish territory within France. It is a town belonging to the Cerdanya region, which is surrounded by French towns, but which remains united to Spain by a single 5 km road considered neutral. This "rarity" of geography is due to the 1659 Pyrenees Treaty, where the Spanish Kingdom gave France 33 towns except Llivia, for its status as a village. But beyond its geographical condition, Llivia is a cozy village erected at the foot of an imposing castle that today remains in ruins, but that recalls the medieval past that marked its history. A place surrounded by forests, lakes and beautiful meadows that invite you to stay and explore all its attractions. In spite of being a particularly small locality, it is surrounded by history and is related to characters of the size of Hercules, to whom they attribute its foundation. It is commented among the local historians that Hannibal himself traveled through Llivia with his army and elephants in his campaign to conquer Rome. Its cultural richness is partly a product of the different occupations lived in its past, beginning with the Romans, later arrived the Muslims and then the Visigoths. This also happened with other Spanish towns and villages, which is why today they show their own and diverse identity. If you are a lover of medieval times, you can visit the medieval castle of Llivia, it is the place where the first bases for the construction of the town were built. The Roman Forum remains an attraction that continues to be excavated. Llivia also has the Municipal Museum known as the Pharmacy Museum, a splendid church of late Gothic style (built on top of an old Romanesque church) where majestic concerts are held and the Bernat del So Tower. Why buy a house in Llivia? It is a municipality that is constantly growing, offering diversity of recreational activities for family tourism. The whole Cerdanya valley is a quiet place with much to offer for those who wish to visit it temporarily or permanently. And this is precisely what attracts many visitors every year. Llivia also offers great architectural beauty, due to its history, that has been well preserved. The facades of its buildings are one of them. They have been subject to various restorations allowing them to retain their attractiveness over the years and are undoubtedly a characteristic point of this town. From the point of view of Real Estate, this architectural wealth is one of the strongest aspects of town. A restored house within town is very attractive for buyers, with all the historical charm it offers or a new house in an ideal place to invest in a holiday home where calm is guaranteed. When it comes to food, there is nothing that Llivia does not have for you. 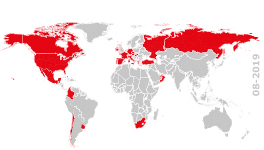 Its cultural diversity gives an exquisite touch to its gastronomy, offering different restaurants with a variety of typical dishes of the area, as well as traditional Spanish and French dishes. In short, you will have a great variety of gastronomic pleasures to enjoy. Llivia is very well known for the quality of its food, its magnificent restaurants and local markets where you can taste wonders of the ceretan cuisine. In your leisure time, you can enjoy the different options in the field of nature, culture, history, art and sport offered by Llivia with different companies and people dedicated to recreational activities in the surroundings. Around Llivia you can practice trekking or hiking, mountain climbing, canyoning, among many other activities in contact with nature. If you prefer other types of sports activities, you will find different sports academies, such as indoor soccer schools, figure skating, skiing and snowboarding. Llivia is a great place for recreation, leisure and to make contact with nature for its magnificent strategic location. Not only does it allow traditional tourism, it offers youngsters or adrenaline lovers the option of signing up for adventure tourism. The people who live in this village, as well as its gastronomy, arts and language make it an area rich in different cultural levels and its growth remains constant. It has managed to become a place for the entrepreneurship of young enthusiasts and an important vacation area for those who are looking for a quiet place to spend their days. If you want to find a nice new home, at the Real Estate Agency Engel & Völkers Cerdanya we advise you in a friendly and professional way to help you find a house that suits your needs. Llivia a town full of history, culture, art, gastronomy and Real Estate. 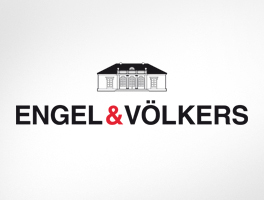 Engel & Völkers Cerdanya will help you to buy or sell a house, apartment or land in Llivia.